Being a powered wheelchair user myself, I had never considered the importance of using wheelchair gloves. Until I met a manual wheelchair user and had a brief discussion with him on the subject. He asked me: “Do you know what carpal tunnel syndrome (CTS) is?”. He kindly explained to me that apart from this serious medical condition (that is often the result of nerve compression caused by forceful exertions on the hand and wrist), one can face other problems as well. Hand and arm strength is very important to many wheelchair users. Although arms are not designed to replace legs, often they do, though this of course depends on the type of disability a person has. 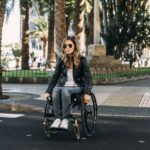 If you use a manual wheelchair that you propel yourself you need to protect your hands, whether you’re doing sport or or out shopping. 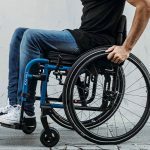 The repetitive use of your hands for starting, stopping and turning the wheelchair, will most likely cause pain, blisters, calluses and other forms of discomfort. Moreover, your hands may be affected by severe weather conditions. That’s why gloves for wheelchair users are basic to protect the health of a lot of people. If you wish to avoid all of the above and more, you should consider using wheelchair gloves. It is important not to go out purchase just any kind of gloves though. You should seek to buy specific gloves for wheelchair use. Here’s why. A wheelchair glove as any other glove, should allow your hand to breathe, preventing them from becoming sweaty or irritated in any way. It should protect your hand from any of the aforementioned conditions. Although a power wheelchair user, I appreciated the importance of protection, when I tried to use my wheelchair outdoors in snowy and windy Berlin in -20 degrees Celsius! At the same time, gloves should be manufactured using a strong, long-lasting material. 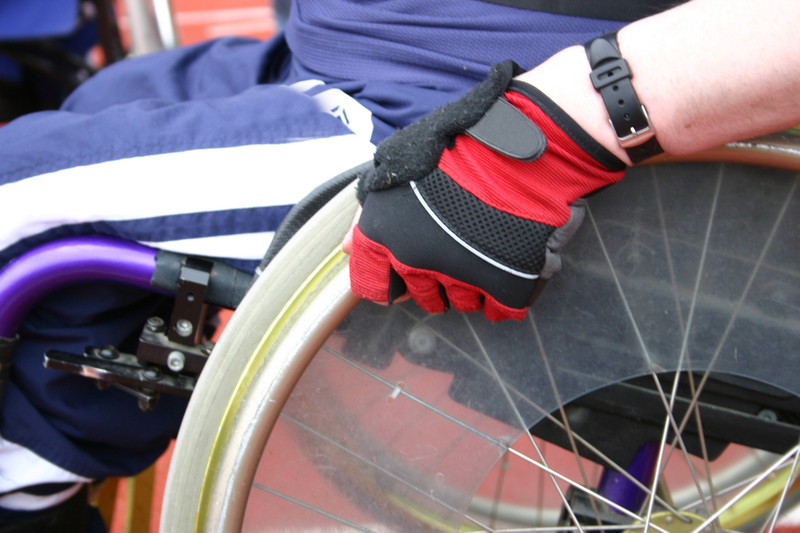 Wheelchair gloves should provide flexibility, therefore allowing the user to use his hands for various tasks and movements without causing any issues. For obvious reasons, the gloves should provide good grip, in order to allow the user to firmly grip the hand rims of the wheels. In order to avoid strain and subsequent problems, the gloves should provide adequate support for the hand. Overall, ultimate comfort is key. Material. There are at least four kinds of material: leather, Lycra, neoprene and suede. Suede may be more stylish but it lacks practical aspects when it comes to use. Neoprene is flexible, light and waterproof, but can be easily damaged. Lycra is very flexible, comfortable and elastic but is not as strong as other types of material. Leather could be a good choice as it is strong, long lasting and fairly waterproof allowing the hand to breathe. Padding: This is the protective material, gel or rubber, inside the glove used to protect the hand when gripping the wheel hand rims. Then there are the fastenings and cuffs of the glove. These allow for the glove to fit comfortably around the hand, but at the same time provide solid fixation. Fastenings can be Velcro and cuffs can be elastic. Finally you will need to consider if you will use full-length or cut-off gloves for wheelchair users. Well, that depends on your specific requirements. Full-length gloves cover the entire hand, thus providing the best level of protection. On the other hand, they may prove to be a burden for the user if they need to take them off and on quite often. Cut-off gloves leave the fingers exposed, therefore allowing the user to perform various tasks while having the gloves on. In order to benefit from this increased level of freedom, your hands will be less protected though. If you’ve read this far, this means that you understand the importance of using specific wheelchair gloves. A good wheelchair glove should be flexible, allow your hand to breathe, be comfortable and supportive, as well as providing good grip and protection. You may buy wheelchair specific gloves online, but I would suggest you visit a store in order to try them out and decide for yourself which type fits best fits your needs. 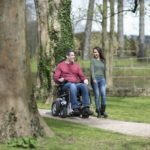 You may also get advice from other wheelchair users or online resources such as the following link. Check out our other posts about accessories for your wheelchair, such as this one about what to use on rainy days. 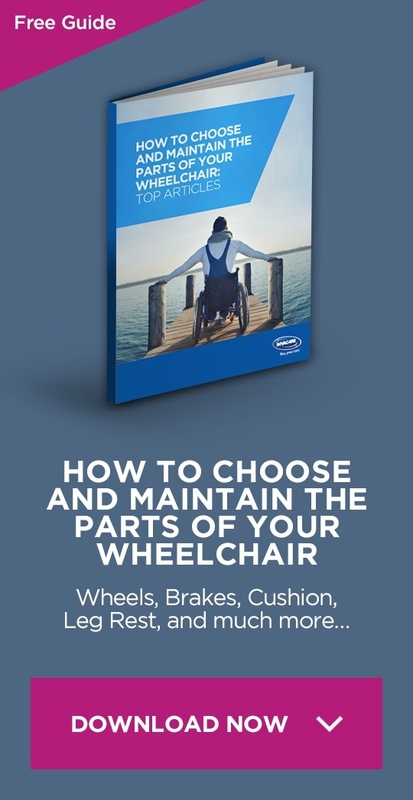 Why are wheelchair footrests essential for posture?